Good, quiet and well run complex. Incredible. Perfect home for a family, and plenty of outdoor space for the kids to run around! Highly recommend. Thanks for taking the time to leave us a great review, Rachae. 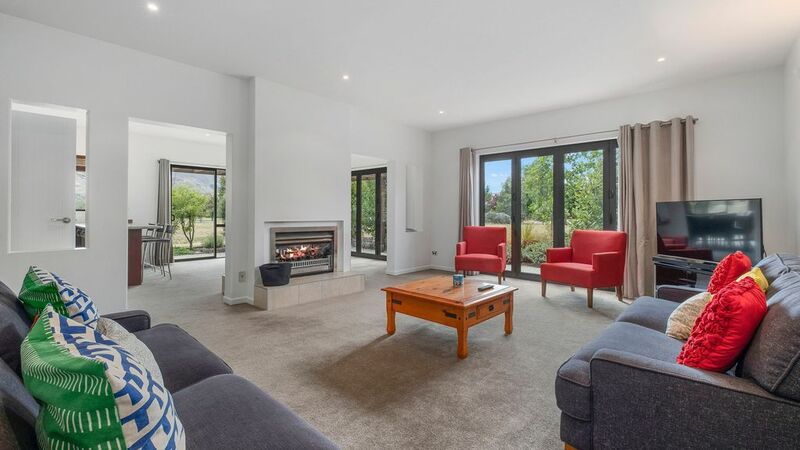 The Heritage Village Villas are an excellent option for families and we're so glad to hear that you and your kids enjoyed your time at this lovely property and in stunning Wanaka. Be sure to let us know next time your planning a family holiday down Queenstown or Wanaka way and we would love to assist you in finding further accommodation. Best Wishes, Goodstays. Hi as a family that has been renting in Wanaka for the past 10 years through holiday houses and never been disappointed and having recently stayed in the villa 11 next door I had expected villa 10 to be as amazing but unfortunately the amenities were misrepresented there was no heat pump, king bed, dvd ,cd and the Tv( which was supposed to have freeveiw) was unusable unless you were prepared to purchase wifi did I mention that these were all listed as amenities when we made the booking? when contacted Tahlia the goodstays rep did say I quote "The property does have TVs as you can tell just not freeview or sky" and " it is best to check property details online before locking something in to avoid these instances" which is when I suggested she look at the blurb... to be fair since then they have partially adjusted the advertisement but seriously there are plenty of lovely well priced holiday homes available in Wanaka this one however was seriously overpriced and I would be unlikely to book anything though "goodstays" due to the sarcasm and false advertising in the future as they obviously do not check the units to see if what they advertise is in fact what you get . I did leave a detailed message on the table. When we arrived there were lights not working upstairs and downstairs toilet cistern leaking.Dirty dishes in cupboards, broken glass, beer bottle tops, cigarette butts outside. A black dog persistently wandering from Wanaka villas.and the parties at the Wnaka Villas. Of our 8 nights there were 4 parties. One started at 12 midday and had a large chiller trailer parked on the lawn outside our bathroom window, after an angry altercation between partygoers and some other Heritage guests we called noise control at 10.38pm. When your teenagers complain about the noise you know it is loud. But we enjoyed our stay. Lovely spot and complex.